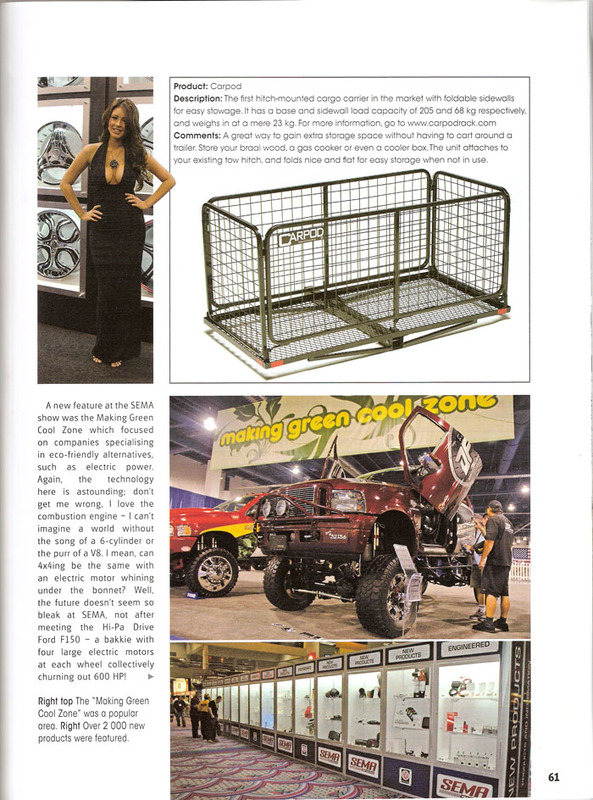 Carpod is featured in ecomodder.com website as a fuel saving green product. 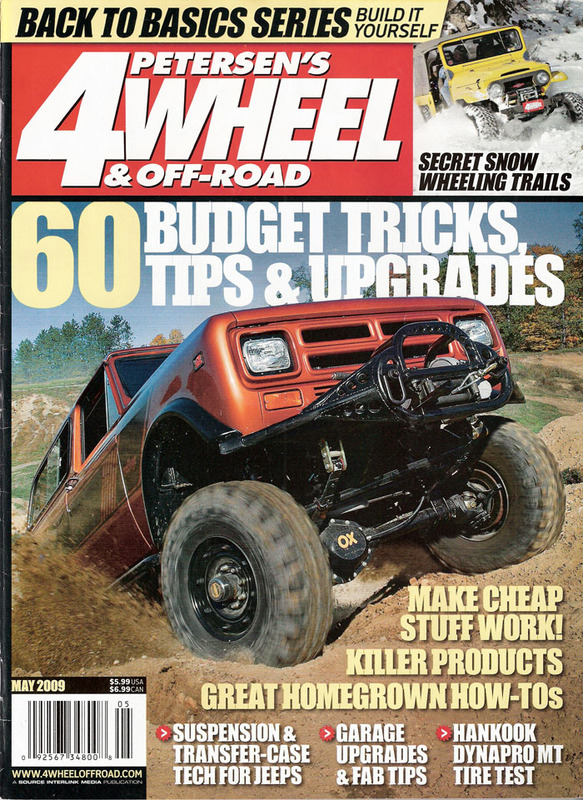 (http://ecomodder.com/forum/showthread.php/all-items-i-scanned-new-product-showcase-5916.html) 2008. 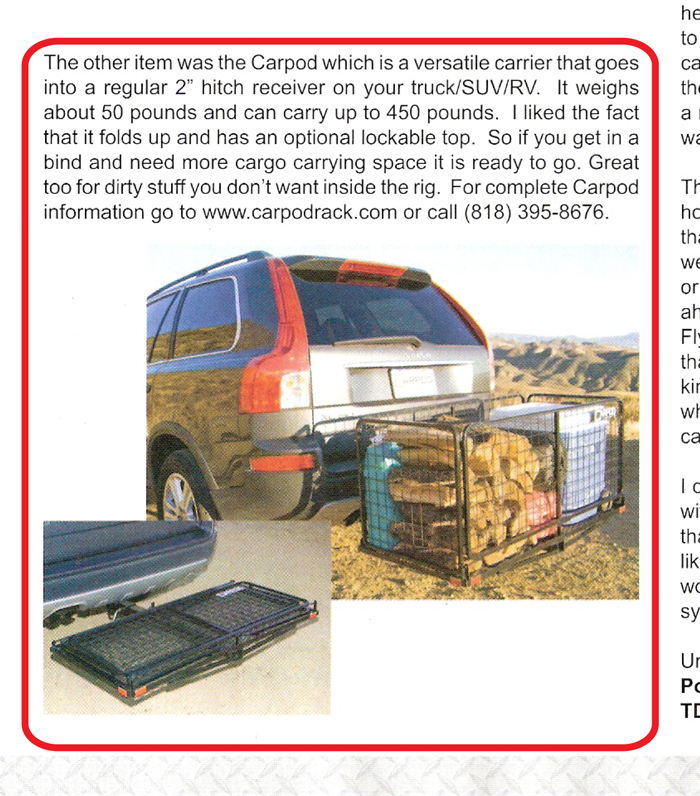 “A newcomer, Mars Global Imports Inc introduced a simple and effective solution to add more space to any vehicle, called the Carpod. 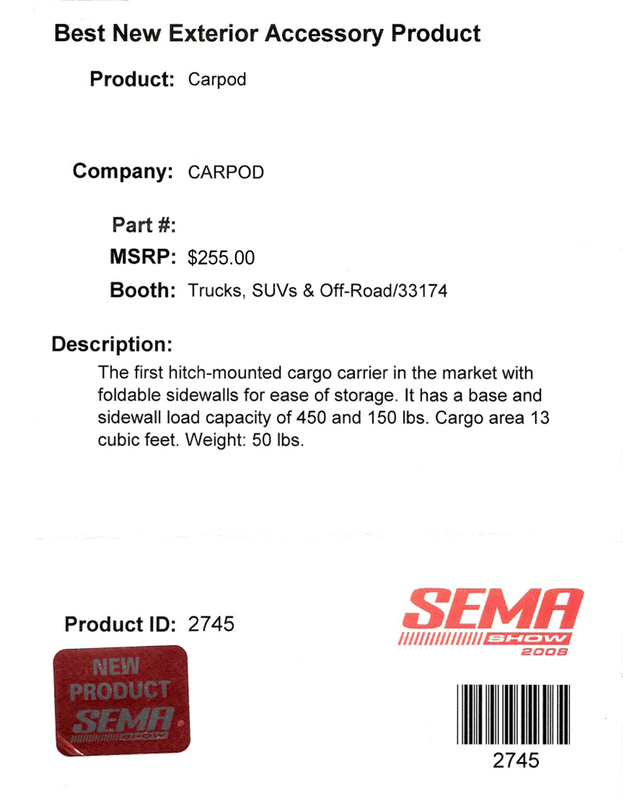 With rugged weldedconstruction and a fold down space saving design, the Carpod will hold up to 500 lbs safely behind your vehicle using your existing tow receiver mount.” (http://www.4x4review.com/Features/EventsandTrips/2007SEMAShow/tabid/131/Default.aspx) 2007. 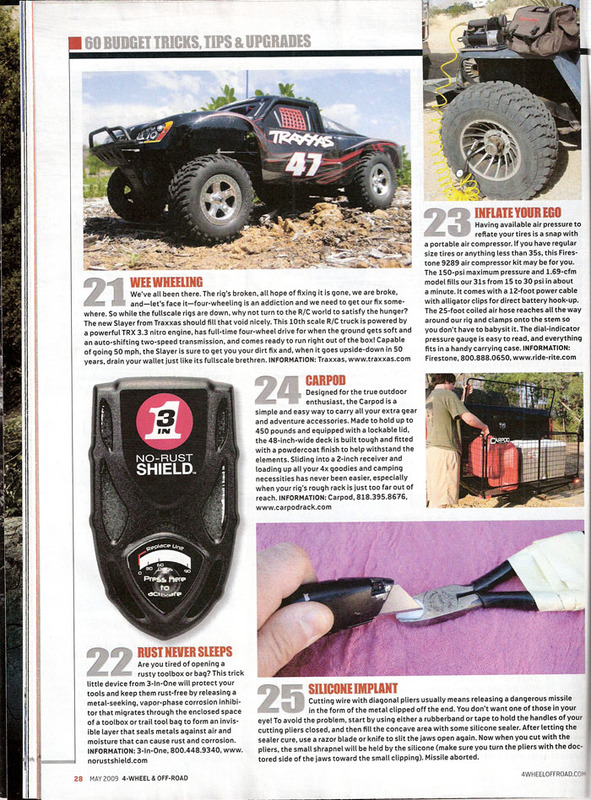 Please share with us any publications you find about Carpod.